Like some petulant pop star, I don’t do requests. It’s not for the lack of opportunity. Every week I get an invite from some PR or other asking me to cover the “VIP Opening” of their new breathlessly described culinary outpost. This might sound like fun but, believe me, it’s not. You stand around with a glass of wine waiting for some food, and then have to feign appreciation when a few platters, primarily designed for the camera, are paraded around. There is a peculiar sub-culture that loves this sort of thing – perhaps you’ve seen them about? They’re called bloggers. 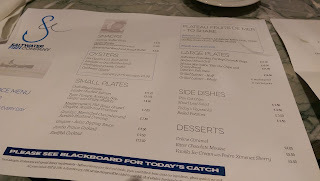 Open a restaurant, send out some invites and you’ll soon have blogfuls of them, eulogising about their latest freebie. But you won’t catch me there. I’m way more interested in how a restaurant works under the normal run of things and I think my readers are too. 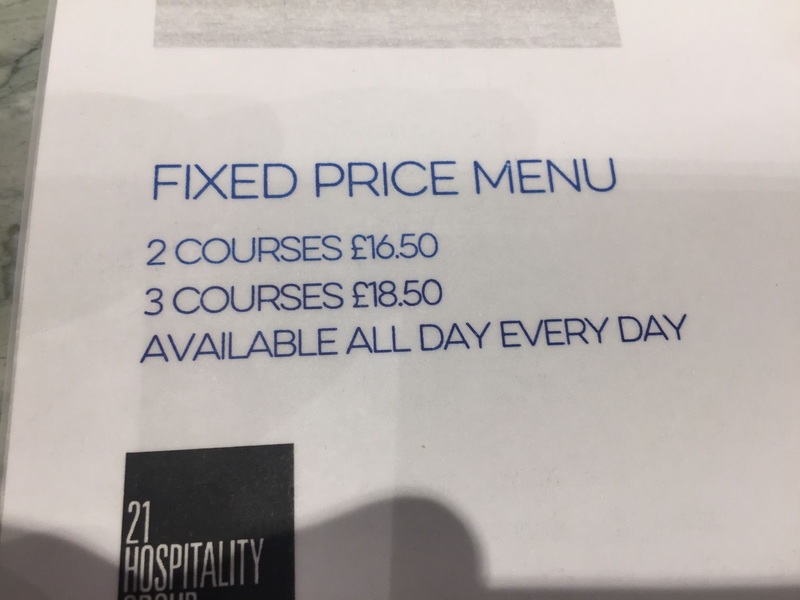 How’s the service, the menu, the ambience? You won’t get answers from a frothy press night, which is why I never visit a restaurant just because I was asked to. Well, almost never. When you get a personal request from Terry Laybourne, you have to pay attention. Mr Laybourne has done probably more than anyone to improve the standards of eating out in this region. We all owe him one. 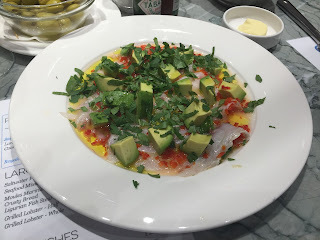 Some time ago he messaged me that he felt the cooking at his Saltwater Fish restaurant in Fenwick’s food hall was now better than the review I’d given it in 2015. Would I consider trying it again? I waited a while, so as not to seem too keen, then headed back secretly, under the steam of my own wallet of course. In fact, I went twice, just to be sure. On the first revisit, the oysters were the stars. It was a few months back, when there were two Rs in the month, the weather was cold, the oysters had been hanging about off Lindisfarne for a few years and tasted absolutely stunning. Of the Pacific variety, these were especially plump, served with a classic mignonette, and the first bite was like dunking your head in the North Sea. Push them to the roof of your mouth, shut your eyes, and you could be a Lindisfarne monk. 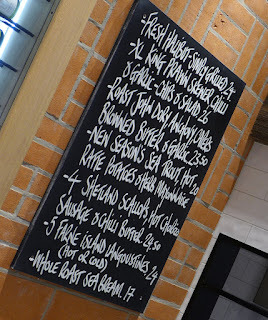 The other highlight on that first visit was a perfectly baked sea bream. 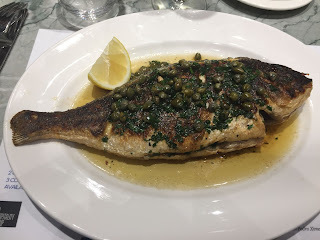 I’d actually ordered something else, then I saw this beautiful fish coming out of the oven and jealousy got the better of me. That’s the wonderful thing about this place – every seat is at the chef’s table, so you can see what everyone is having. In fact, I managed to try a little of everything, as Mrs Diner couldn't decide and so ordered the seafood mixed grill (£19.50). 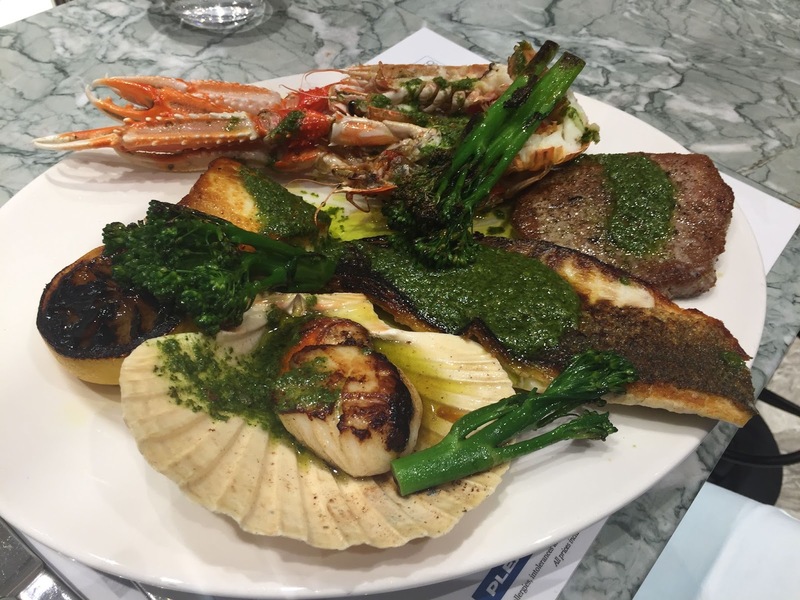 Scallop, seabass, langoustine and what I'm guessing should have been seared tuna. 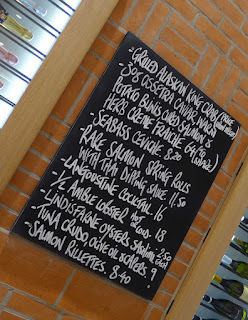 It wasn't, though everything else was spot on, including a very agreeable scallop. Seabass ceviche (£8.20) was prepared from scratch and excellent, dotted with avocado, herbs and chilli. 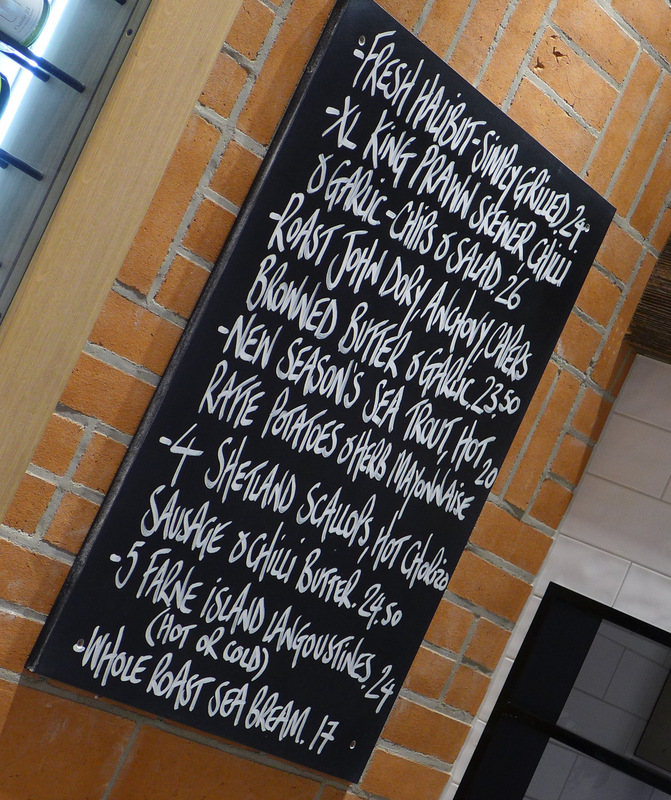 There’s a set menu (£18.50 for 3 courses), a boardful of specials, and it’s great to watch Chris Eagle and his talented team doing all the work. Chris is a long-term lieutenant of Laybourne’s 21 Hospitality group. Saltwater Fish doubles up as Fenwick’s fish counter, so he has access to a matchless array of quality fish. He also has the good sense not to bugger about with it too much. My second visit was just a few days ago. I had the oysters again and, as I suspected, they didn’t quite have their winter zing. They were still a great way to while away the time with a glass of good Chablis while I waited for Mrs Diner, who was buying something expensive in the cosmetics department next door. 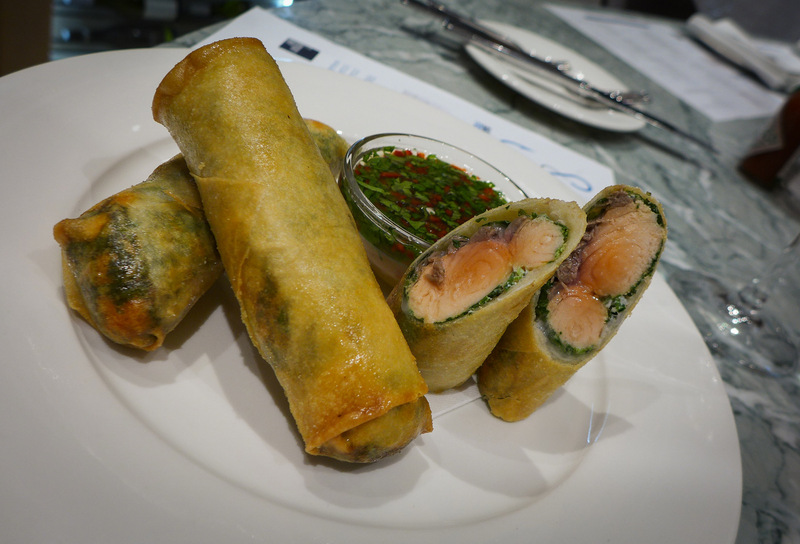 When she arrived we shared a Café 21 classic: rare salmon spring rolls (£11.50). Crisp pastry, fried to shades of gold, gave way to grassy coriander and chubby fingers of pink fish. Pink, not red, though: they were slightly over, and for me the seasoning was a touch under, although a Thai dipping sauce helped make up for that. 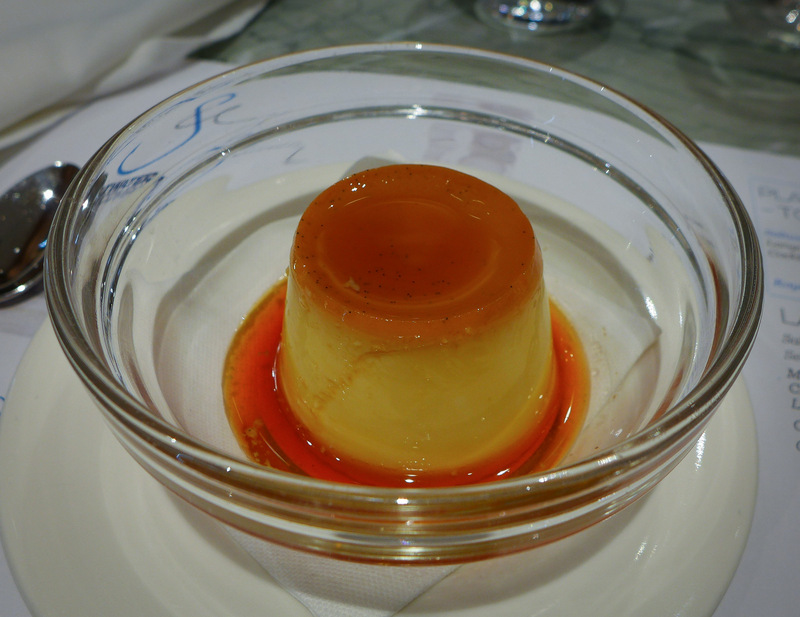 Our mains were examples of what this place does best: first-rate produce, recently hoicked from the briney, swimming in a whole load of clarified butter. 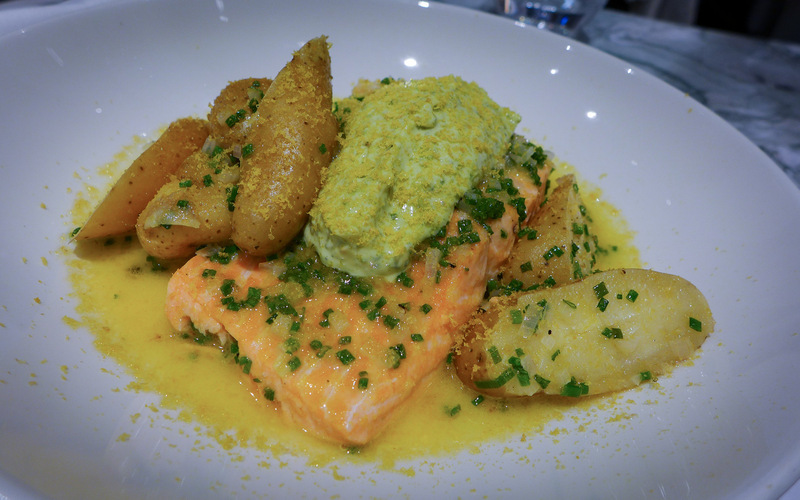 A lovely chunk of just-in-season sea trout (the whole point of June for me) was doused in the good stuff, served with some rich ratte potatoes, a lively minty mayonnaise, and a microplaning of citrus zest. 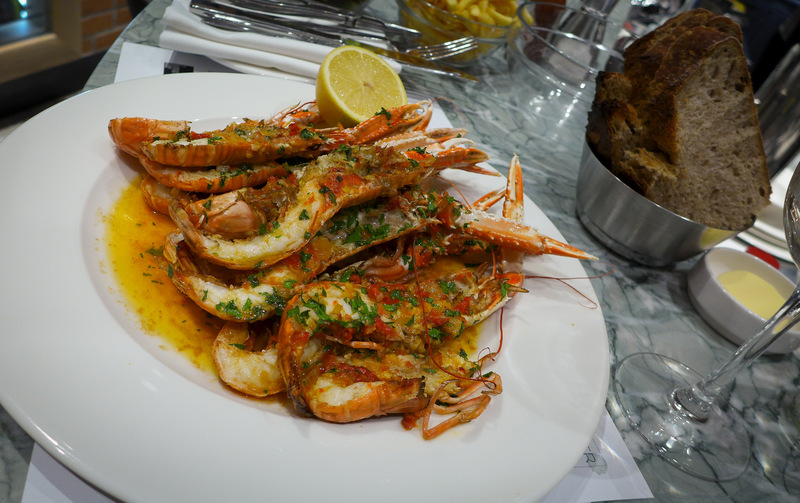 Mrs Diner’s langoustines (£24), simply grilled in chilli and herb butter were prime specimens from the Farne Islands. We chased remnants of the butter around the plate with some cracking sourdough from Mason and Rye. 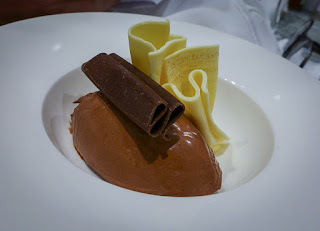 Densely bitter chocolate mousse was just as good as it was on my first visit and a crème caramel had just the right wobble. Coffee was Nespresso and thus unremarkable. 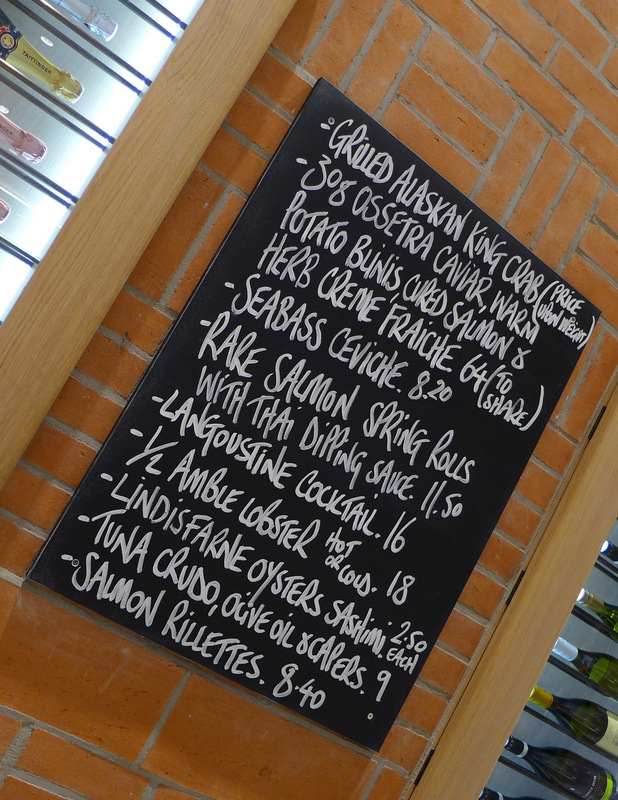 Saltwater Fish is a lovely place to be at lunchtime, all cool marble and hanging glasses. Talking of glasses, ours were filled by a procession of rather good white wines. I enjoyed them all, including an unusually sophisticated Pinot Grigio. 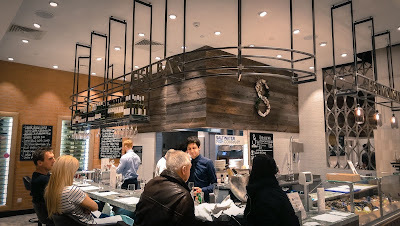 In fact, I enjoyed them so much that a trip to the loo was called for, which is where my one criticism of Saltwater Fish kicks in (apart from the fact that it isn’t open in the evening) – there’s no loo nearby. Given that there are three restaurants within Fenwick’s food hall (and Laybourne is about to open another, right next to Saltwater Fish Company, called Porterhouse Butcher and Grill - see Foodie News), this is a serious oversight. Nothing puts a crimp in your lunch like an unwanted safari to the first floor, especially when - I blame the wine - you get off at the second and end up in haberdashery. I’m more than happy to up the score for Saltwater Fish to a “highly recommended” four stars. There’s nothing like it in Newcastle, the ingredients are first rate and it is helmed by people who really know what they’re about. As we settled up, a gentleman in a Newcastle United top settled down to enjoy the moules-frites and prosecco special. Welcome to Newcastle in 2017. The whole food scene in this city just gets better and better, and more people than ever are enjoying it. Mr Laybourne can take a fair slice of credit for that. 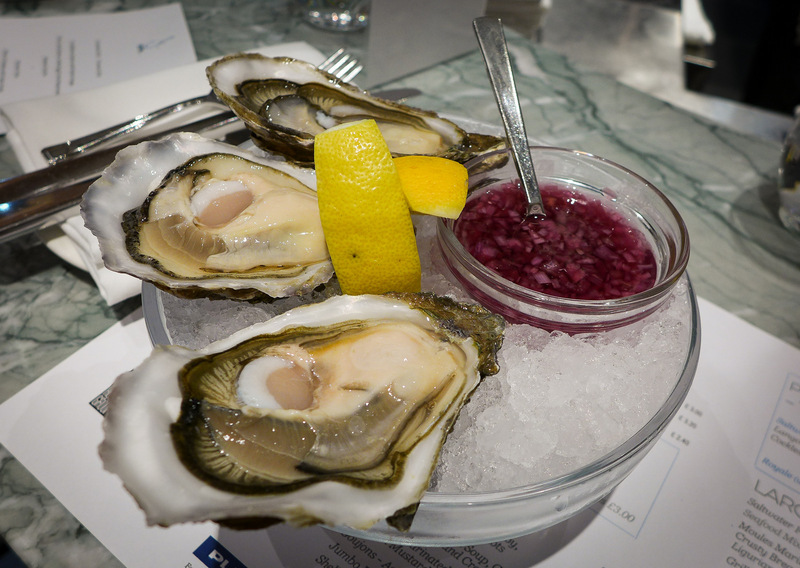 I thought that the "not when there's an R in the month" didn't apply to Pacific oysters farmed in UK waters (because it's too cold even in our summer for them to breed). Maybe it's just psychological on your part? 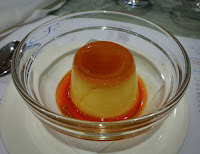 I think the old 'R in the month' rule is actually derived from the danger of summer heat during storage and transportion from bed to table (in the days before refrigeration), as well as the danger of summer algae in our coastal waters (my greatgrandfather was reputedly killed by an oyster after a trip to the opera). As you say, summer spawning, when you wouldn't want to eat an oyster anyway because of the taste as the glycogen turns to eggs, only applied to native oysters, but I've always believed that the colder the water that farmed oysters are cleaned in (especially during the final two days of purification before they come to market) the better. I was hoping for the same saline "hit" I had in February, and it didn't arrive. I don't claim to be an oyster connoisseur, but I know my tastebuds. 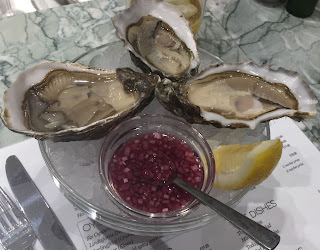 My favourite months for Oysters are definitely October/November, because then they're sweeter.